A lot of thought went into what The Next Chapter should be. 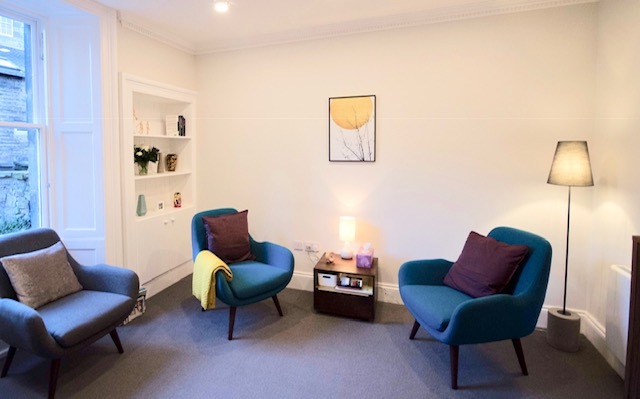 As well as a space for low-cost counselling, founder Fiona Armstrong also considered a having a cafe in the room up front. The main hope was that it would be a place where people could come together, a place that felt safe and welcoming, and a space where conversations about mental health could begin. ‘We wanted to offer therapy in an accessible way, but expand the conversation and make it less stigmatised, less of a thing you have to hide away in the corner,’ says Armstrong. Inspired by the Don’t Judge a Book by Its Cover project – bookshop discussions around mental health – Armstrong decided this was a good route to go down. 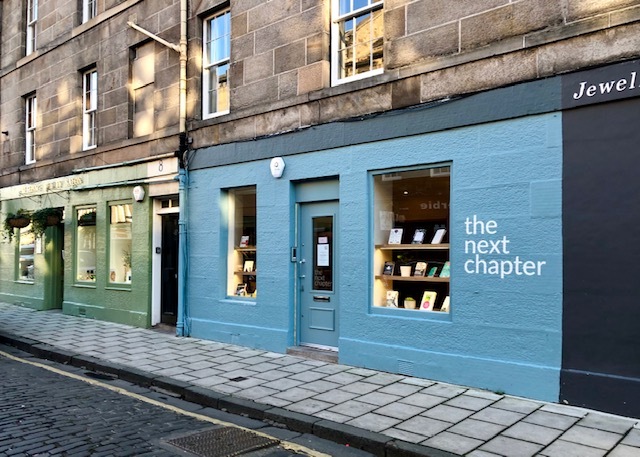 So, The Next Chapter – bookshop and counselling services – was born. Find it in the west end of Edinburgh, a short wander from Princes Street and just down quirky William Street. Once through the door, The Next Chapter’s calm vibe is striking. 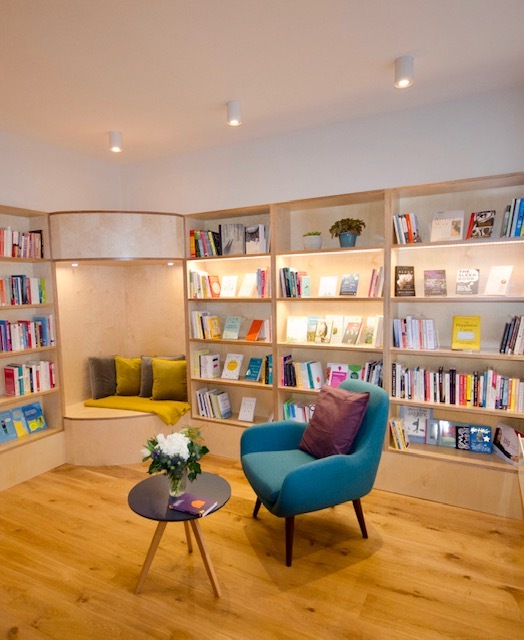 The bookshop is ground-level with counselling services down a small flight of stairs. Books are arranged by subject matter: the wooden shelves home to information about anxiety, depression, eating disorders, grief & mourning, and much more. Armstrong, who previously worked at Edinburgh University’s Student Counselling services, had been researching what kinds of books to include for some time. ‘We were encouraged to suggest reading [at EUSC],’ she says. ‘And we had what I thought was quite a limited selection of books, some of which were quite old. I thought “we can do better than this”.’ She was also inspired by Books on Prescription, a scheme GPs in England are encouraged to use: they have a list of recommended titles on different subjects and local authority libraries have to hold stock of them so people can borrow them. More than anything, however, she’s an avid reader who has been reading up on mental health for years. At The Next Chapter, the rooms where counselling takes place are soothing, painted in neutral blues and greys with pops of mustard here and there. There’s also a room for massage therapy. When it comes to counselling, The Next Chapter has a tight-knit team of six working from the premises. To get in touch with someone, you don’t need a GP’s referral, just email info@thenextchapter.org with some basic information about what you’re looking for, and then sessions can be worked out between you and the therapist.